Kate Leahy is our trailblazer from the University of Tulsa as the first student from her school to attend a LeadAbroad program! 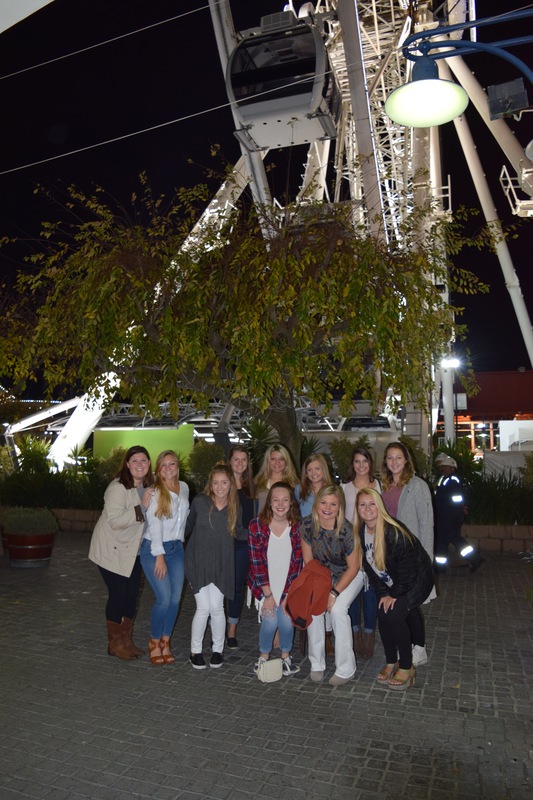 Read below to hear about the bonding experiences week 1 of LEAD Cape Town has provided! Hey y’all! My name is Kate Leahy and I am from St. Louis, Missouri, but attend The University of Tulsa. Prior to arriving in Cape Town, I was nervous as I was pushing my comfort zone and didn’t know exactly what to expect. I am the first student from TU to attend a LeadAbroad trip, and I only came knowing one person. But, the moment I found the Cape Town group flying together in Washington D.C. I was calmed. Everyone was so friendly and chatty and wanted to hangout before the 17 hour flight. My LeadAbroad journey only grew from there. As I have been in Cape Town for a week now, I feel as though I have known these people for a year. On the first day we were broken into small groups with no one that we knew (easy for me, considering I only knew one person). It was perfect because everyone else had a fresh start and wanted to meet people, just like me. Everyone was so welcoming and warming, and as I got to know everyone I knew that I had made the right decision to come here. Yesterday my apartment of four girls all made a group feast for lunch for our roommates birthday, and had a blast telling stories about our colleges all around the United States. LeadAbroad has not only provided me friendships that I know will last a lifetime, but also the comfort and safety of feeling at home. I was nervous I would feel homesick being so far away with such a dramatic time change, but I have spent three out of the last five nights hanging out in the leaders and program directors room (fondly known as Starfish). Sharing stories with Dr. Teel, Kelsey, and my peers has already made an impact on me and I have only been here for a week. I strongly recommend LeadAbroad for anyone that is considering it, as I cannot imagine a better program to be a part of. Awesome job Kate! So glad you went! Enjoy the adventure! !